Fermenting your homebrew at the right temperature is one of the critical factors in making good beer. Now you can use the Cool Brew! 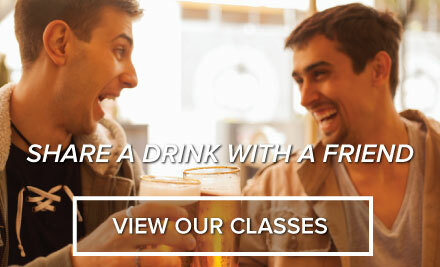 Let the temperature get too warm and your beer will suffer! The typical desired ale fermentation ranges are 59-72 degrees F. Add in the fact that active fermentation for a 5 gallon batch can raise temperatures up to 10-15 degrees F! Forget about dealing with a messy homemade cooler when trying to keep your homebrew fermentation temperatures cool. 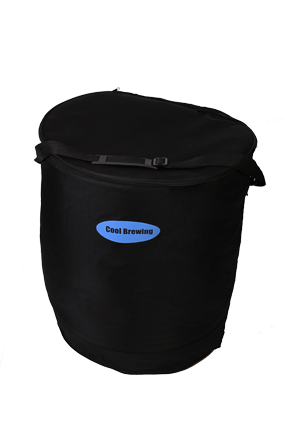 Cool Brewing Fermentation Cooler is designed specifically to accommodate standard 6.5 and 5 gallon fermenters and carboys. Neatly and easily keep your fermentation temperatures incheck. Just add ice packs ice (frozen 2-liters work great) or anything cold and switch out as needed to reach the desired temperature. Save time and effort in that The Cool Brewing Fermentation Cooler is sealed insulated and 100% waterproof so it will efficiently and neatly keep your temperatures in check. When youre done the Cool Brewing Fermentation Cooler easily folds up for storage until the next brew day! Much less expensive than custom refrigerated set up`s that cost $100`s of dollars. The Cool Brewing Cooler will work with multiple sized fermenters. 100% waterproof so will not leave condensation. It folds up for easy storage when not in use or travel. Will work great in condos and warm climates where you need a swamp cooler even for Ales!